Monitor developments at the federal level regarding the Federal Base Realignment and Base Closure (BRAC) process, and the implementation of SB 1815, 77th Legislature, relating to loan assistance for communities affected by BRAC. Evaluate the effects of the increased bonding authority granted to the Veteran's Land Board in HB 2453, 77th Legislature. Evaluate veteran land and housing fund programs, including veteran nursing homes. The Committee shall determine if the demand for veterans nursing home beds is exceeding the available supply. 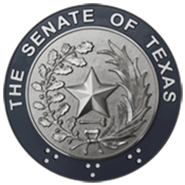 Monitor the implementation of the following legislation from the 77th Session: HB 310 relating to veterans cemeteries; HB 2125 relating to public school admission for military personnel and dependents; and SB 1159 relating to providing state veteran services. The Committee shall also evaluate the cost-effectiveness of programs and benefits provided to veterans and their families by state agencies. The Committee should consider veterans programs administered by the U.S. Department of Veterans Administration. Assess the impact of the current military mobilization on persons called to active duty and their families. The Committee should examine state and federal statutes concerning active reservists and guardsmen and make recommendations, if necessary. Monitor the current mobilization of Texas military forces and the role of National Guard Armories to determine if increased assistance from the state is necessary for an efficient and timely response.